The day we visited the park, we were fortunate to see some historic reenactments. 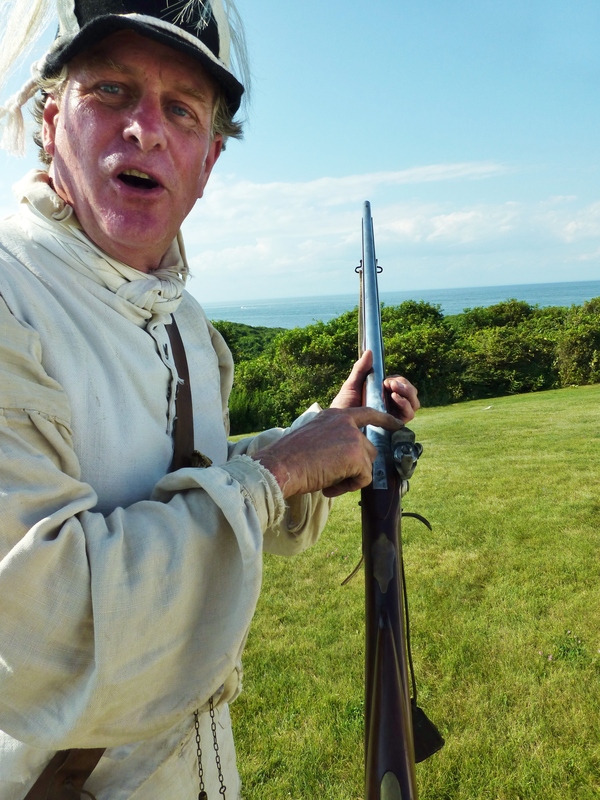 Unbeknownst to us, it was history day at the lighthouse and a group of authentically dressed history buffs were on site, acting out some battle scenes! I’m glad you’ve visited my blog today. As promised last time, I’ll share more with you about our visit to the Montauk Point Lighthouse on Long Island in New York. 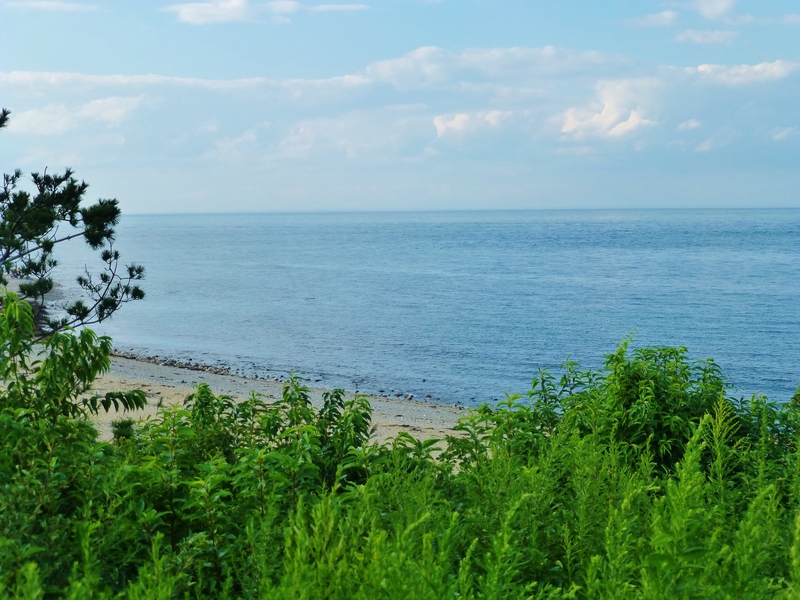 This beautiful historic lighthouse is part of Montauk Point State Park at the very tip of Long Island. 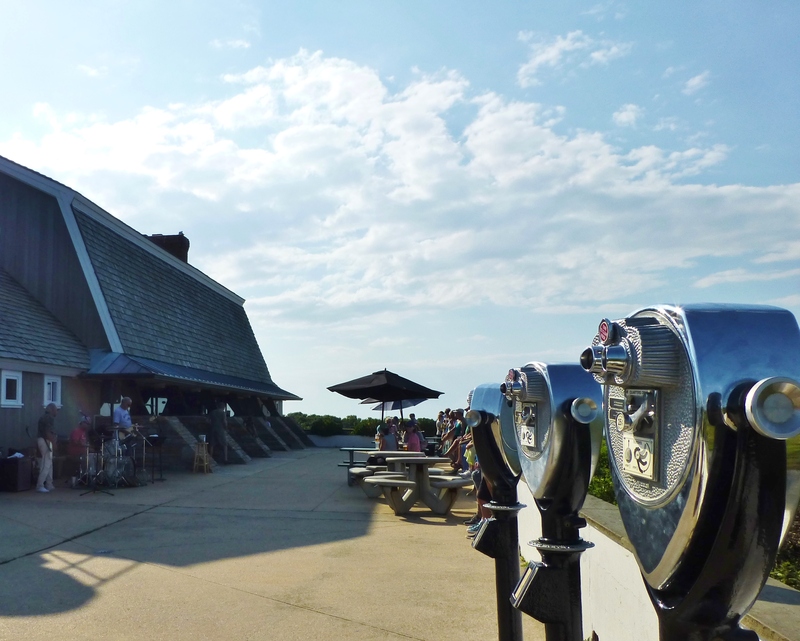 The Montauk Point Lighthouse as seen from the parking area on a gorgeous August afternoon. The tents you see on the left are part of an historic reenactment that was going on the day we visited. 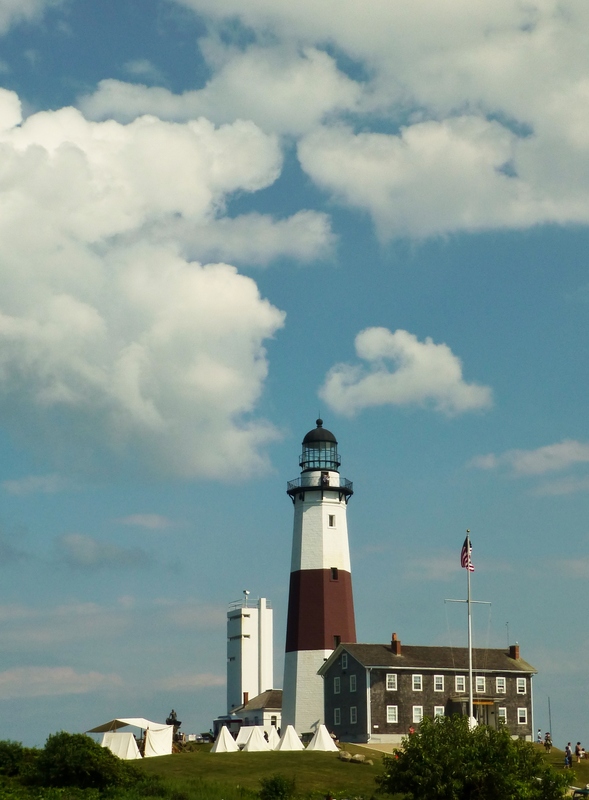 The Montauk lighthouse was the first to be built within the state of New York, and was the first public works project of the new United States. 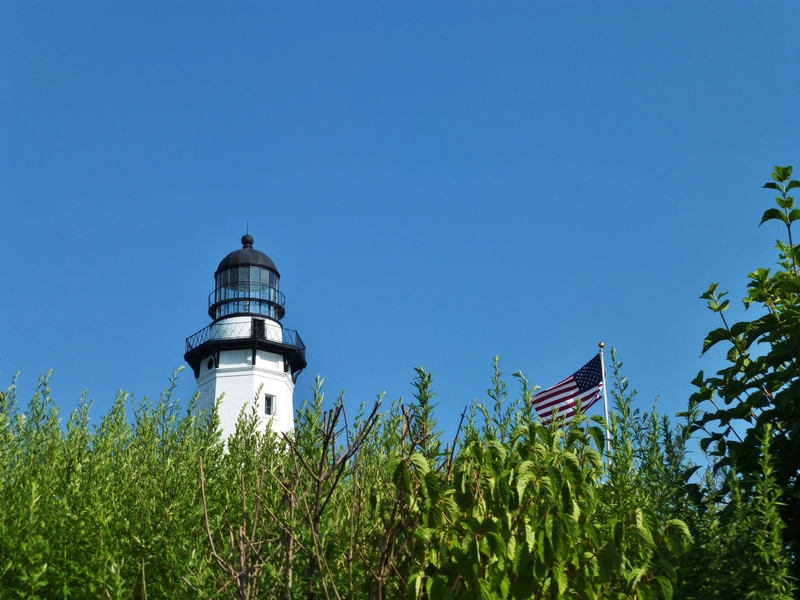 It is the fourth oldest active lighthouse in the United States! The Montauk Lighthouse was commissioned to be built by George Washington in 1795. Sperm Whale oil was used to light the lantern until the 1860’s, then kerosene until the 1940’s, when the electric lamp was installed. 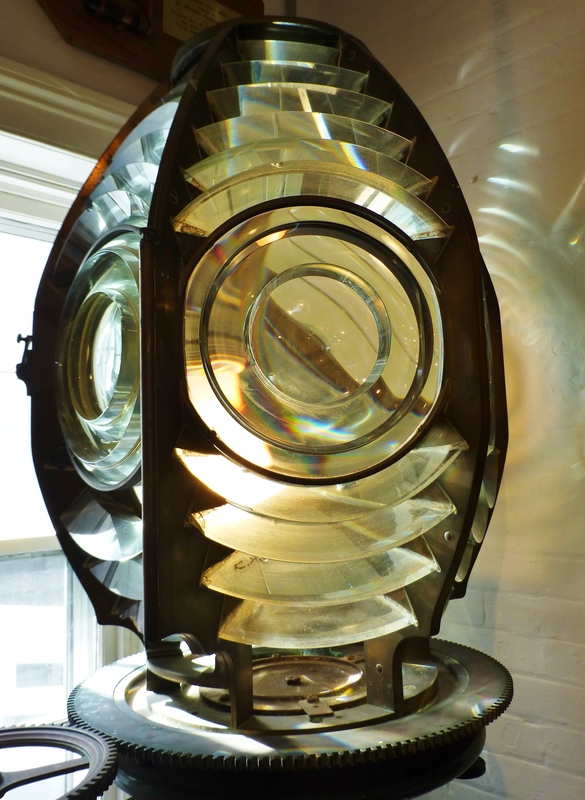 Here’s an example of a lighthouse lens with prisms on display in the museum. Isn’t it beautiful? This is how the light becomes amplified and makes it visible to boats very far away. This is a beautiful view from the lawn in front of the lighthouse. There are paths, allowing you to walk down and enjoy the beaches too. 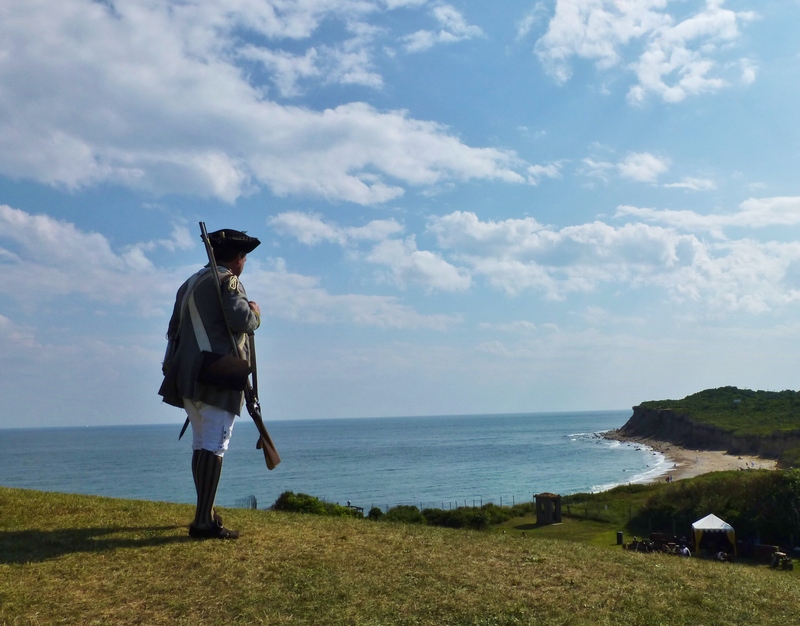 A gentleman in historic garb from the 1700’s, holding a musket, looks out at the craggy shoreline from the Montauk Point Lighthouse. 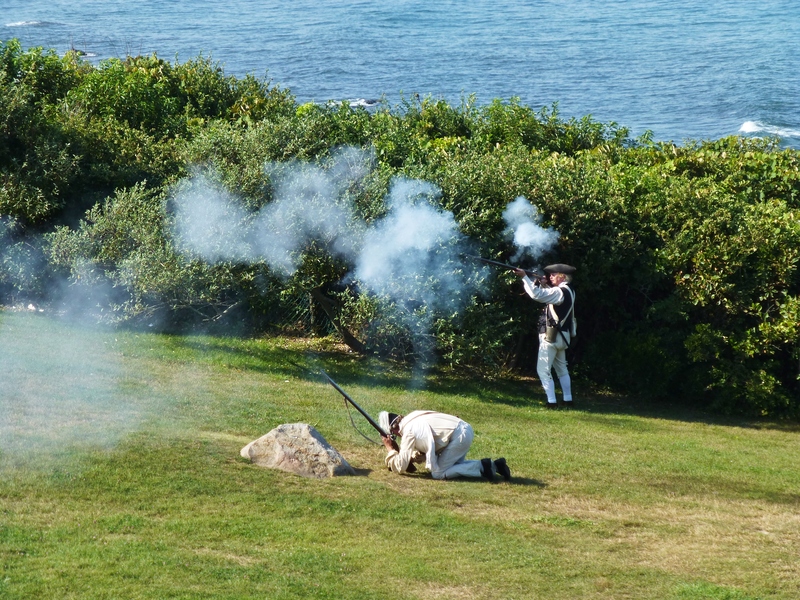 You’ve heard the old saying, “Boys will be boys.” Well these guys were having a great time, playing with their guns and giving us an authentic 18th century experience! My son loved learning about the muskets and how they work. It was really fascinating to see the costumes and military gear in person! Each gentleman creates his own attire. I particularly liked the striped stockings and bright green wool trim on this man’s costume. 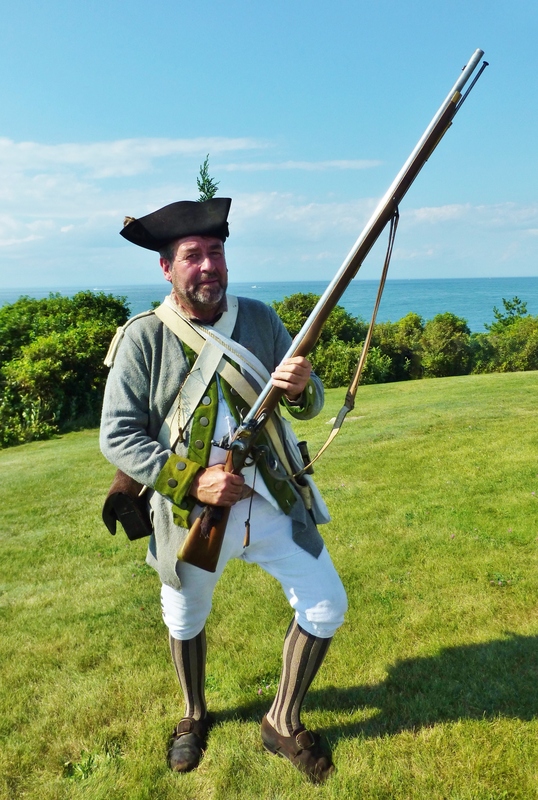 Can you see how big that musket is? They are heavy!! After checking out the lighthouse (yes, you can climb up to the top!) and talking to the very kind history buffs, a walk down to the shoreline was in order. There’s a great little café and bar at the park, with ample seating and a lookout area. There was terrific live music when we were there too! The unspoiled views of ocean and nature are really stunning. 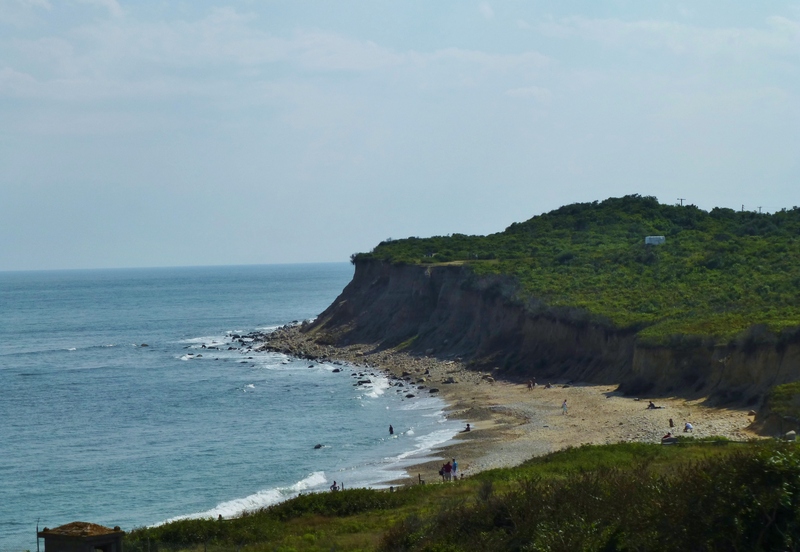 We were at the Montauk Point State Park on a perfect summer day. 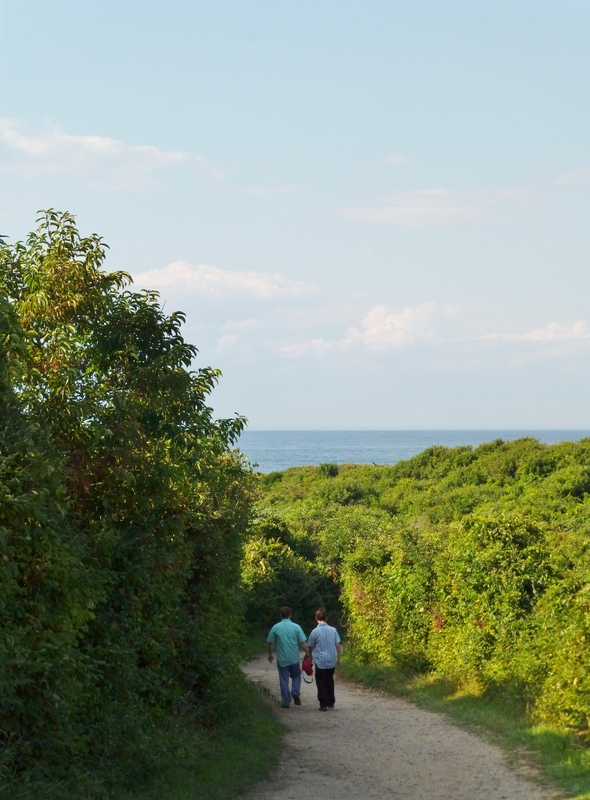 If you’re ever in the Hamptons, you should definitely try to make the trip up to Montauk Point State Park. It’s definitely worth the visit! Our main reason for visiting the Hamptons was a tour of the fabulous Hampton Designer Showhouse. This is a side view of the main house (at the right) and the pool house (to the left). We’ll go inside, so I can show you around in my next post! 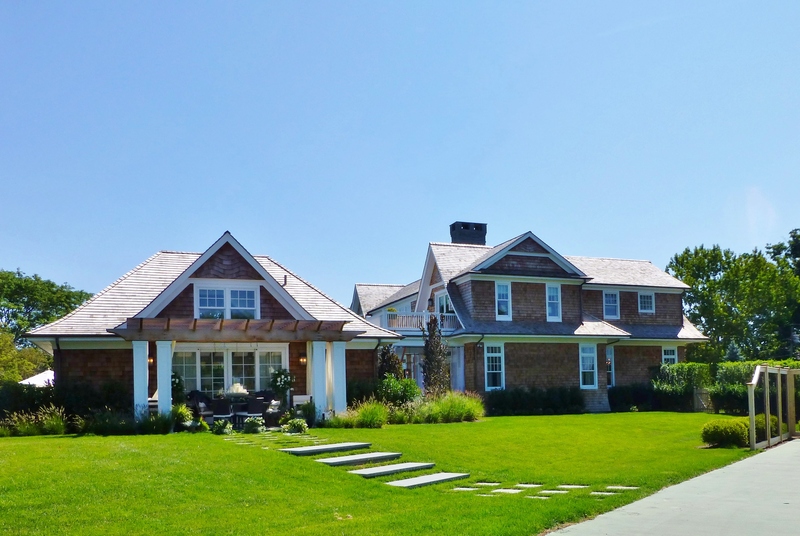 I’ll share all about the Hamptons Designer Showhouse next time. I saw, and photographed, so many absolutely gorgeous rooms on our tour (many were crafted by A-list designers), and I can’t wait to show them to you! I’m sure you won’t want to miss it…. Until then, please share your comments…have you ever visited “The Hamptons”? I’d love to hear your experiences and your favorite places to go… And don’t forget to share my blog with everyone you know…I need all the friends I can get! 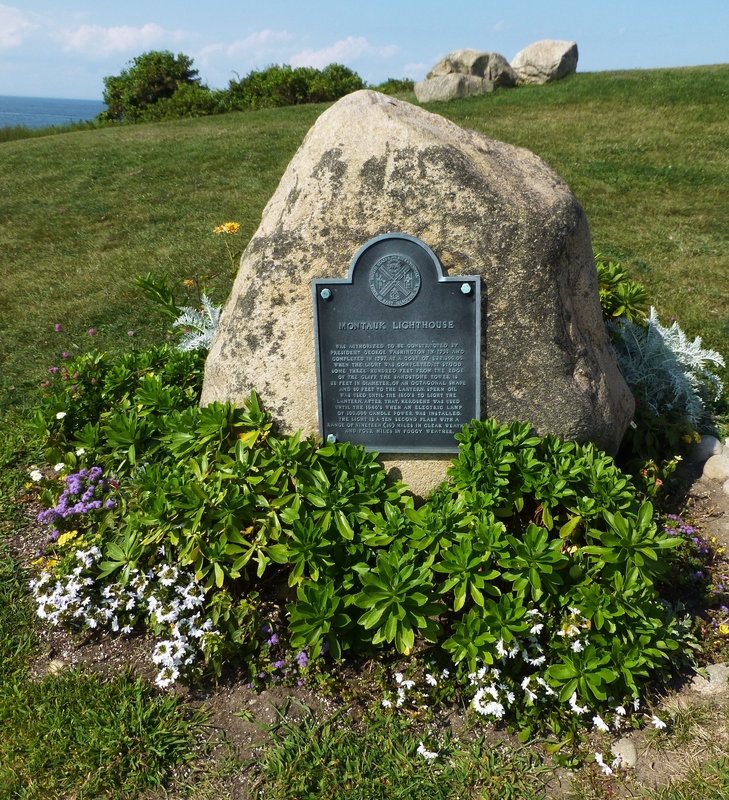 This entry was posted in Historic Sites, Lighthouse, Long Island, The Hamptons, Travel and tagged Beach, Costumes, Kristine Robinson, Montauk, Musket, New York, Prism, Reenactment, Robinson interiors, Sightseeing, State Park. Bookmark the permalink.